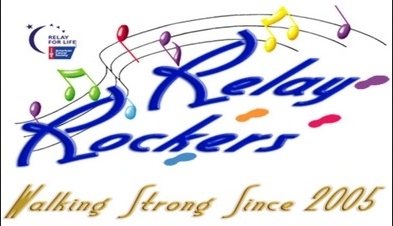 Relay Rockers have announced details on some of the events they will will organising and hosting as a part of the 2015 Relay for Life of SL season. First up is the 4th annual Celebrate Remember Fight Back (CRFB) Top DJ Competition, challenging on-line DJs to raise the most donations for the American Cancer Society during a series of 1 and 2 hour sets. Since it’s inception in 2012, nearly 50 DJs from across Second Life have participated in the competition, raising over L$6,000,000 to support the Relay For Life of Second Life. On-line registrations for the 2015 competition, which will run from late March through May, will open during the first week of February 2015, and will be available for up to 16 competitors. In their announcement, the Rockers further confirmed their continuing partnership with their premier sponsor dAlliez Estates to once again provide Relay d’Alliez as a venue for teams to host fund-raising events during the 2015 RFL of SL season. Teams will be able to reserve the region, either in parcels or its entirety, from the RFL of SL kick-off week right through until the Relay Weekend in July 2015. Information on how to place a reservation will be announced in early February through the Relay For Life Volunteers group and on T1Radio. In the meantime, requests for information about Relay dAlliez should be forwarded via e-mail to: relaydalliez@relayrockers.t1radio.com. Finally, in a year which see the Rockers enter their 11th consecutive season of RFL of SL support, the press release announced their intention to continue with their signature event, Bid Me Bald. This time it will be team co-founders Trader Whiplash and Nuala Maracas sitting as the initial ‘Victimteers’, and the barbershop kiosks will be open on March 11th and 18th respectively, which shearing to take place one week from those dates. The Barbershop Kiosks will be set up on March 11th and 18th, respectively with their shearing to occur one week hence. The Rockers also plan to hold RelayStock ‘15 as a multi team event and invite all teams to begin planning to attend.